The rolled green tea leaves of gunpowder help to preserve the essence of the tea, providing a potent aromatic and flavorful experience sure to entice any green tea connoisseur. No tea lover’s collection is complete without a box of gunpowder tea. This green tea variety is uniquely prepared by rolling the leaves, which then resemble gunpowder - presumably the source of its name. This not only protects them from damage, but condenses the leaves as well, resulting in a more noticeable aroma and taste that differs from other preparation methods. 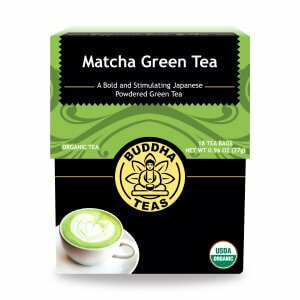 It is known to have a somewhat smoky flavor that distinguishes it from other green teas. 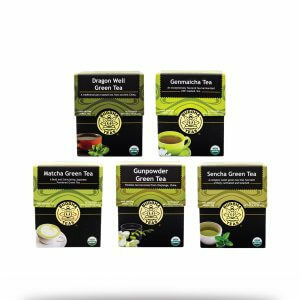 Many people have heard of the positive constituents found in green tea, and gunpowder tea is no exception. The rolling leaf method of preparation helps gunpowder tea to stay fresh longer, making it a great way to enjoy the nutrients offered by green tea. With each sip, you receive a boost of vitamin C and B vitamins, along with minerals like manganese, calcium, iron and zinc. Naturally, it is also a savory source of antioxidants. Gunpowder tea offers you a great way to enjoy the classic flavor and health benefits of a quality cup of green tea, and now through the convenience of the internet, you don’t even need to leave home to find it. 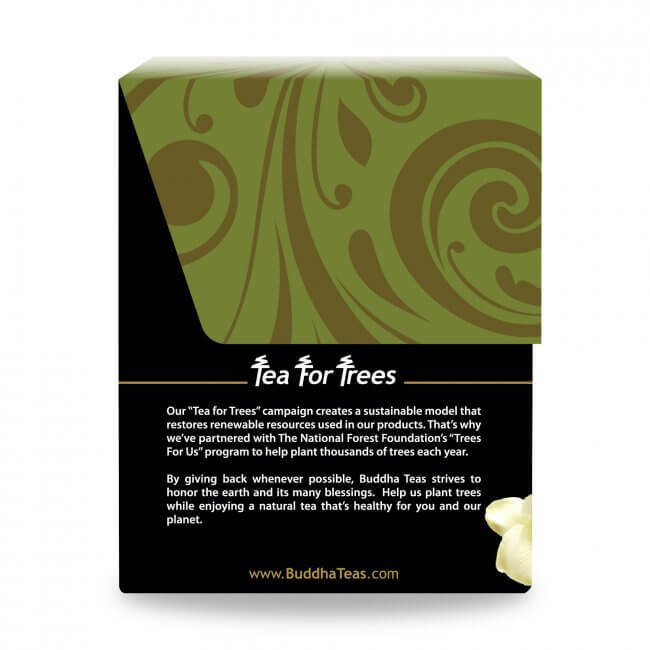 Buddha Teas is dedicated to providing premium quality teas at prices that make them affordable on any budget. 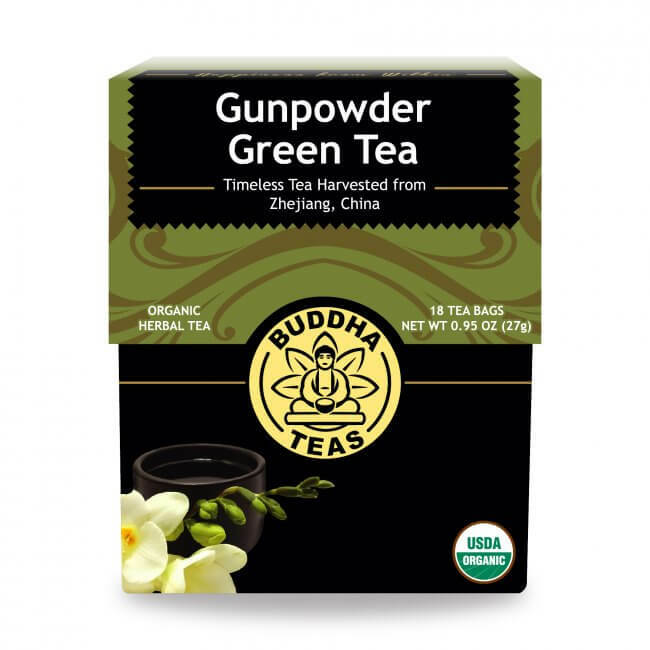 Whether you are looking for an all-natural tea that gives you the most benefits, or simply a delicious brew to add to your cabinet, our organic gunpowder tea is a must-have. Place your order today and buy in bulk to save even more; plus all U.S. orders of $50 or more are eligible for FREE shipping! It's good... But I like your Sencha green tea better. 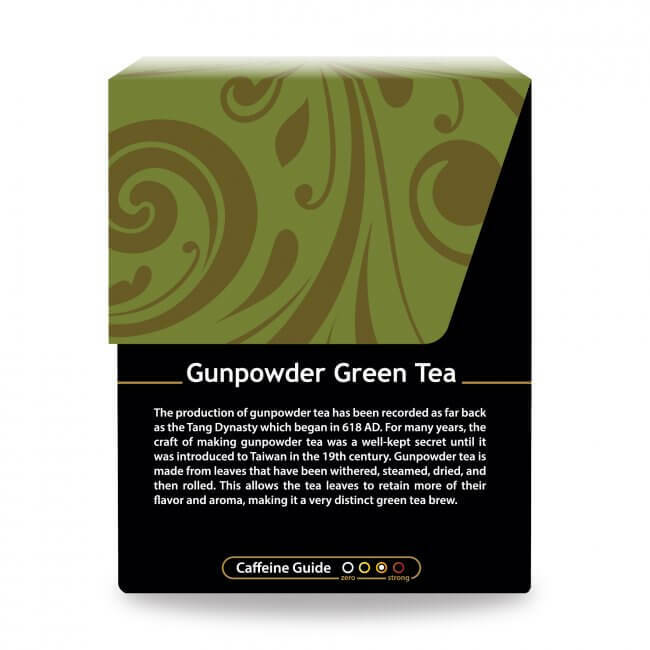 My first experience with Gunpowder tea is a good one. I like this tea. There is no harsh bitterness to this at all. It's now my go-to Choice!